(by Dustin Volz and Mark Hosenball, Reuters) – U.S. presidential campaigns face threats from hackers bent on espionage and other activity more nefarious than mere political mischief, the office of the U.S. National Intelligence Director James Clapper said on Wednesday, but did not provide details on specific intrusions. “We’re aware that campaigns and related organizations and individuals are targeted by actors with a variety of motivations— from philosophical differences to espionage — and capabilities— from defacements to intrusions,” Clapper’s spokesman Brian Hale said in a statement, deferring to the FBI for details on specific incidents. Earlier, Clapper said the U.S. intelligence community had “already had some indications” of hacking attempts against presidential campaigns. 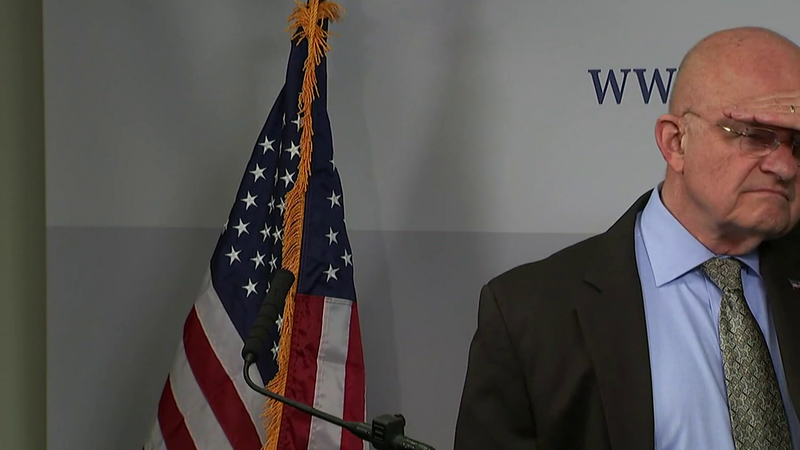 “As the campaign intensifies we’ll probably have more” attacks, Clapper said at a [talk] in Washington. The hacking efforts against the campaigns are considered so serious that some congressional committees have been briefed on the activity, a government source said. “Given the intense scrutiny paid to the 2016 campaign, and the broad implications for U.S. foreign policy, it’s no surprise that actors are launching cyber-attacks against presidential campaigns,” Representative Adam Schiff, the top Democrat on the House Intelligence Committee, said in a statement. Cyber attacks against political candidates occur in countries around the world. The last two U.S. presidential cycles in 2008 and 2012 witnessed a barrage of cyber attacks from a range of adversaries targeting [the top candidates in both parties]. Clapper said the Department of Homeland Security and the FBI are working to educate “both campaigns” about cyber threats, likely referring to the campaigns of presumptive Republican nominee Donald Trump and Democratic frontrunner Hillary Clinton. A U.S. security official said foreign hackers would likely seek information about a candidates’ foreign policy intentions and team and about the campaign’s internal operations. The Republican and Democratic candidates for president will begin receiving intelligence briefings after being officially nominated at party conventions this summer. Clapper said the two candidates would receive “exactly the same” briefings. 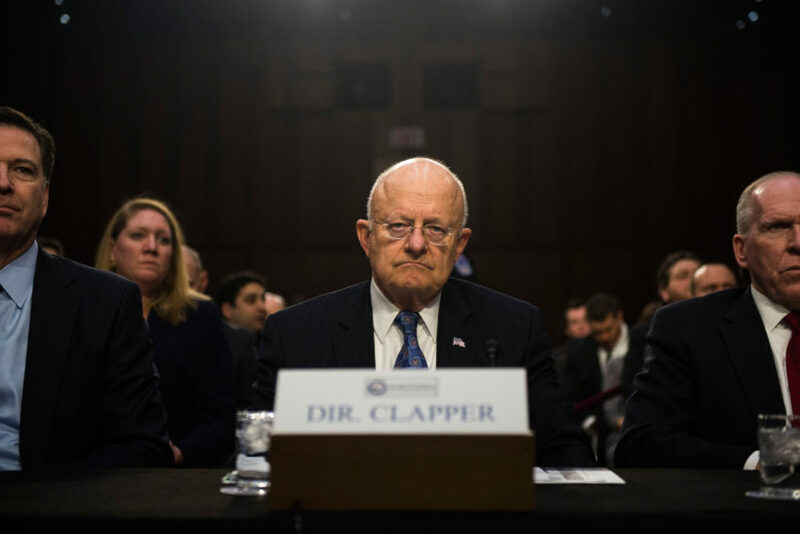 …“We’ve been doing this for many years….” Clapper said. Because the candidates are briefed in person, U.S. intelligence officials said they are not concerned about hackers eavesdropping on the sessions. But they are worried Trump or Clinton might share information with aides, advisors or supporters using email systems that are less secure than those the government uses for classified information. One official, speaking on the condition of anonymity, cited Clinton’s previous use of a private email server when she was Secretary of State. Reprinted here for educational purposes only. May not be reproduced on other websites without permission from Thomson Reuters. Visit the website at Reuters.com. PLEASE NOTE: Daily posting and “Answers” emails will end for the school year on Friday, May 27th. 2. What is the role of the Director of National Intelligence? 3. a) For what reasons are hackers targeting the U.S. presidential candidates? b) What types of actions do they take? 4. What actions is the Director of National Intelligence taking in response to the hacks? 5. What type of information would foreign hackers likely look to steal, according to a U.S. security official? 6. What concern do intelligence officials have about the intelligence the Democratic and Republican candidates will receive upon becoming their parties’ nominees? The Director of National Intelligence serves as the head of the Intelligence Community, overseeing and directing the implementation of the National Intelligence Program and acting as the principal advisor to the President, the National Security Council, and the Homeland Security Council for intelligence matters related to national security. Direct and oversee the National Intelligence Program. Before the DNI was formally established, the head of the Intelligence Community was the Director of Central Intelligence (DCI), who concurrently served as the Director of the Central Intelligence Agency (CIA). The 9/11 Commission recommended to establish the DNI position in their 9/11 Commission Report not released until July 22, 2004, as they had identified major intelligence failures that called into question how well the Intelligence Community was able to protect U.S. interests against foreign terrorist attacks.